Shoko Teruyama grew up in Mishima, Japan. She earned a BA in education and taught elementary school before coming to the United States to study art at the University of Nebraska-Lincoln in 1997. 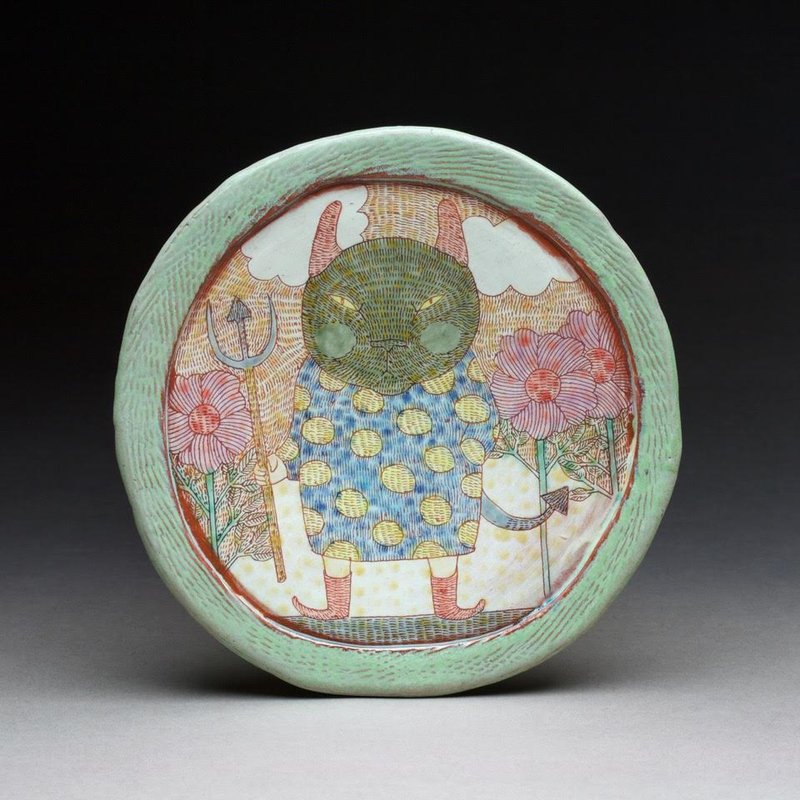 Shoko received her MFA in ceramics in 2005 from Wichita State University. 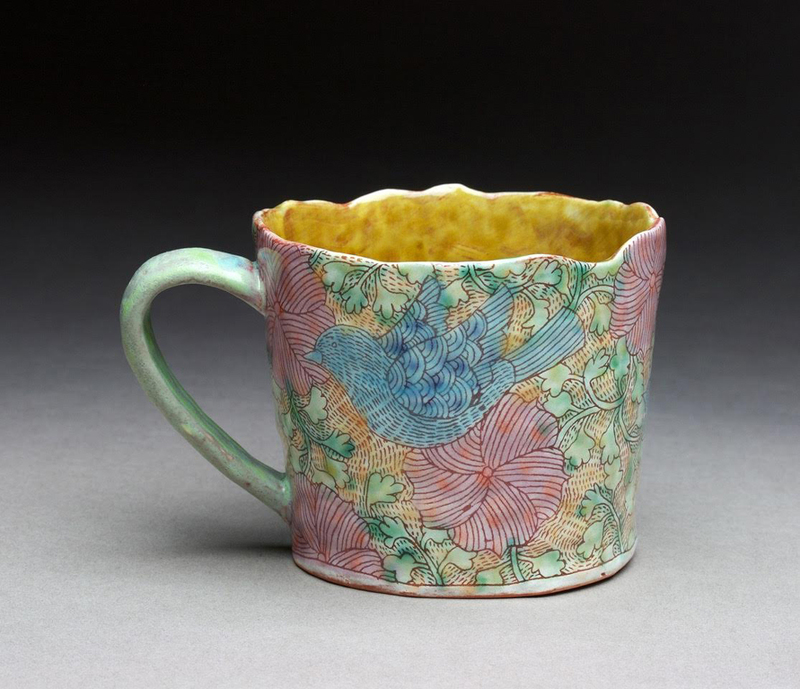 She finished a three-year residency at the Penland School of Crafts in 2008 and is now a studio artist in Alfred, NY. 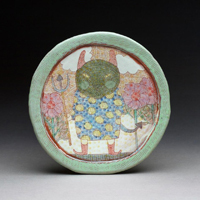 Shoko’s handbuilt work is made of red earthenware with white slip and sgraffito decoration. 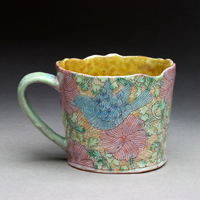 She has developed a variety of patterns and a cast of characters based on experience with human relations. As the characters interact, Shoko wants the viewer to find their own stories. The work is seemingly whimsical, but reveals itself to be something more devious and interesting. I create characters based on human relations and things I have experienced. To me it is much easier to draw owls than humans. I don’t want to tell specific stories to people, I want people to create their own. Sometimes you feel like the weight of a turtle standing on top of you and sometimes you feel like an owl standing on top of the world. Some of my characters have a dark nature. I think that is life. Sometimes dark things happen. Overall, I want my work to have a sense of hope and a sense of humor because life goes on.